Summary: Seventeen-year-old Leah MacKenzie is heartless. An artificial heart in a backpack is keeping her alive. However, this route only offers her a few years. And with her rare blood type, a transplant isn’t likely. Living like you are dying isn’t all it’s cracked up to be. But when a heart becomes available, she’s given a second chance at life. Except Leah discovers who the donor was — a boy from her school — and they’re saying he killed himself. Plagued with dreams since the transplant, she realizes she may hold the clues to what really happened. Matt refuses to believe his twin killed himself. When Leah seeks him out, he learns they are both having similar dreams and he’s certain it means something. While unraveling the secrets of his brother’s final moments, Leah and Matt find each other, and a love they are terrified to lose. But life and even new hearts don’t come with guarantees. Who knew living took more courage than dying? I received a finished copy of this book from the publisher in exchange for an honest review, and I was really excited to start it when I first heard about it. This story seemed like the total package -- heart-racing thrills, gripping loss, and blossoming love. It sounded like the kind of thing I would absolutely love. So that's why I was so stoked when I received a copy! As the summary explains, Leah is suffering from heart failure, and she finds herself receiving a rare heart transplant that she never thought she would truly get. But after she gets the heart, she finds out that it belongs to Eric Kenner, whose twin brother Matt she had been crushing on for the longest time. And to make things even more intense, Matt is convinced that Eric didn't kill himself like everyone said he did -- he was murdered. But since nobody (including the police or his own mother) believes him, he is determined to make things right. And Leah, who owes Eric immensely for her second chance at life, soon finds herself sucked into the world of proving his murder, too. And on top of that, throughout this all, Leah and Matt start to develop feelings for each other, which makes their entire situation even more complicated. Something that threw me off before I even started this book was how similar it was to a book I had just finished a few days before, Instructions for a Secondhand Heart by Tamsyn Murray. (In case it's worth nothing, Instructions was published first.) In both stories, one of the main characters has a really bad heart condition, and while waiting for transplants, they have to live with artificial hearts in backpacks. And then a tragic and untimely death occurs to another character -- and in each of these stories, the character that dies has a twin. And the person receiving the transplant meets said twin. And the twin and the person receiving the transplant fall in love. Yeah. It just seemed a bit too similar for my taste, especially since I was practically reading both of these books back-to-back. So when I started reading This Heart of Mine, I was worried that I would feel like I was reading the same story twice and therefore wouldn't enjoy it the second time around because I'd be tired or bored. However, despite the similarities, I still enjoyed this book. While the first book focused more on accepting the new life after such a loss, This Heart of Mine also has the thread of trying to solve her donor's potential murder when nobody else is willing to help them, which added an entirely new dimension to the story. It switched between Leah and Matt's perspectives, but what I found interesting was how Leah's perspective was in first person and Matt's was in third. I'd never seen a switch like that before, which I thought was really intriguing! It really made it clear which character I was supposed to be focusing on at what time, and I still was able to settle into both of their minds comfortably. My favorite character in this story was definitely Matt. He was adorable and loving, and really kind to everyone. However, perhaps most importantly, Matt was so loyal to Eric that he was not willing to rest until he found out the entire story of what happened the night Eric died. He didn't give up even when there were several moments in the book where I (mistakenly) thought he should have. He was loyal and stopped at nothing to make right by his brother, and he was also so sweet, kind, and adorable to Leah. I definitely found myself swooning over him a couple of times. (Spoilers ahead, so please skip to the next paragraph if you don't want the book ruined for you!) Something that bothered me about this book, though, was how quick and rushed the ending felt, especially since it seemed like the book was building up to that big moment. The entire book was about proving Eric was murdered and didn't commit suicide, but then when Leah finally finds the proof of the bullet in the tree, the story stops there and skips ahead a week, and it even makes note of how the reader is currently in the present "after everything went down." But then that everything is brushed over so super quickly that I had no idea what even happened! I was also left with a lot of unanswered questions, especially in regards to the case. How did everyone on the scene react when the evidence was found? Matt's mother? The detective? Cassie? Everyone at school? Where did the tattooed motorcycle guy fit into the story? Where the heck did Officer Yates go?!?! Did this make national news or anything?!?! How did Dr. Hughes react when she realized that Leah's dreams were real the entire time? I know a good story often leaves the reader with a few mild questions, but these questions were all really hard-pressing and it felt like this book was leading up to this big moment of justice for Eric, and then it's brushed over like it wasn't a main focus of the story at all. If it wasn't the main focus of the story, that's fine -- but don't make it seem like the focus all the way until the end, though! That part left me really frustrated. 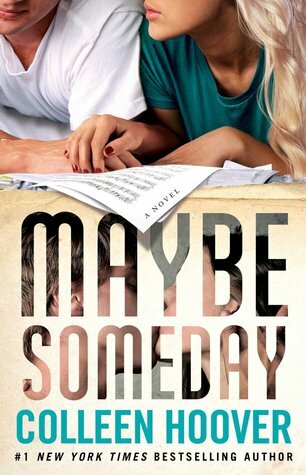 Speaking of being frustrated, at times I just wasn't sure if this book was about a girl learning to find love and be normal after a serious transplant, or if it was more about Leah and Matt trying to avenge a death that they felt was wrongly classified. The book flip-flopped between the two plots often but I felt like I wasn't able to really settle on what the main focus of the story was about, here. Especially when certain seemingly-important things got brushed over really quickly, in both plot aspects. It left me feeling a bit confused and unsure -- however, both plots were great stories! I just wasn't really sure which one the story was truly supposed to be about. One last thing that I wasn't crazy about with this book is that some words or phrases just felt really overused or out of place -- basically, they didn't sound like things that most teenagers would say. And it happened enough times that it started to take me out of the story and make me question things a little bit. For example, I thought I was going to lose it if I had to read the word "breasts" one more time -- it was said sooo many times throughout this book and it just felt really awkward/out of place for a teenage girl in this day and age to be saying that! It was just random words that were said like that in speech that made me sort of blink and be like Wait, what? People actually say that? But I digress. I might just be weird like that, although I ran it by Emily and Amber and they seemed to agree that it seemed a little awkward for a seventeen-year old girl to say she had to "go use the restroom" instead of "having to pee" or saying that "someone nearly brushed against her breasts" rather than saying "he almost touched my chest." But who knows! That's just my opinion in regards to something that jarred me from the narrative a little bit. I'm certainly not the expert on language. 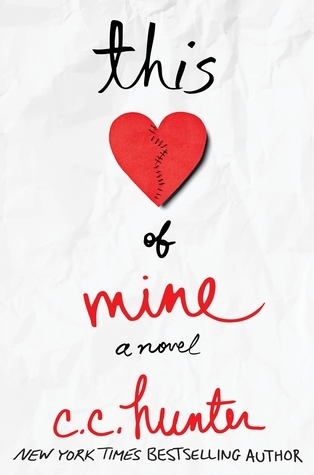 Overall, I did enjoy This Heart of Mine by C.C. Hunter. Other than the parts I pointed out above, this story was filled with love, hope, loss, and even some mystery, terror, and thrills. There's a lot going on here -- so many things to unpack -- and I was glad that I stuck with the story all the way to the end. 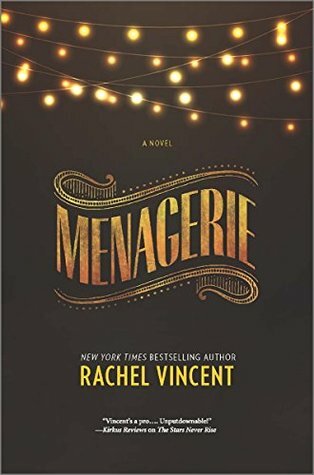 While there were some parts that I wasn't a huge fan of, overall I enjoyed reading this book and would recommend it to anyone looking for a little blend of romance and mystery! Guys, I don't know where to start. The love I have for this series and the characters is beyond comprehension. After hearing about the addition of three more books to this series, I was ecstatic and impatient. I did not want to wait for this book. And like you probably expected, I devoured this book the second it was released. 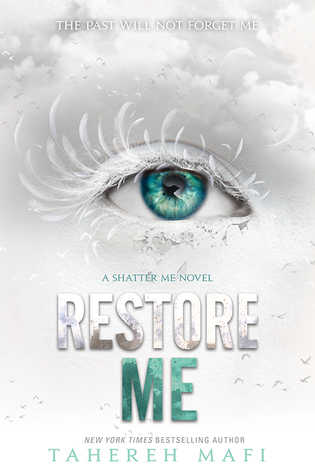 Restore Me is the continuation to the Shatter Me series and picks up about two weeks after the end of Ignite Me. Juliette is now the Supreme Commander after killing Anderson. She is determined to change the world. Juliette has so much to learn and when the children of the other Supreme Commanders show up, Juliette is determined to get them on her side. But Warner is extremely skeptical as to the real reason they showed up. As secrets are told and danger is close by, Juliette will have to work harder than ever and face something she never thought possible. Juliette and Warner have to be my favorite book couple ever. Their relationship is so pure and lovely that it hurts. Warner is very closed off and cold but easily opens up just for Juliette and I just love it so much! His character is finally starting to warm up to the others and I'm really beginning to ship him and Kenji (not sorry). Juliette was faced with learning the ins and outs of being Supreme Commander throughout the book. At the end of Ignite Me, it felt like Juliette was capable of anything but in reality, she had no idea what she was doing. There was so much she didn't know about ruling an entire country and it really took a toll on her. The children of the Supreme Commanders basically laughed in her face after they realized just how clueless she was. In Reality, Juliette really is not cut out for this job. I also find it a little selfish that Warner just wont take over for her. Yes, I understand he want's Juliette to be all she want's to be, but Warner was literally born to take over. If he doesn't want to deal with the responsibility of taking over, he should have prepared Juliette better. OH. MY. GOD. I have to say, I kind of saw the whole kidnapping thing coming but not who did the kidnapping. I was completely shocked. Just ask Jess and Amber, I was going crazy. Oh, and this is totally not the end for Juliette and Warner, it can't be. In my opinion, I think Juliette overreacted after Warner told her the truth about her past. In his defense, he truly didn't know until Castle told him! He explained that to her and she still completely freaked out on him. All I have to say is that my heart is in a million pieces and I'm not so patiently waiting for the next book. So all in all, this book was everything; I was laughing out loud with every word out of Kenji's mouth and in a puddle of tears by the end of the book. This was a true page turner and I couldn't put it down. Once again Tahereh's writing left me speechless and wanting more. Please if you haven't already read this, do yourself a favor and read it right away, you won't be disappointed! 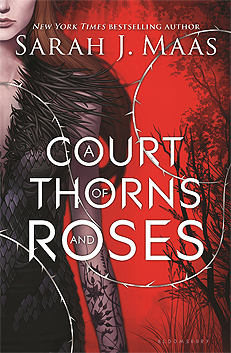 Summary: Seventeen-year-old Kateiko doesn’t want to be Rin anymore — not if it means sacrificing lives to protect the dead. 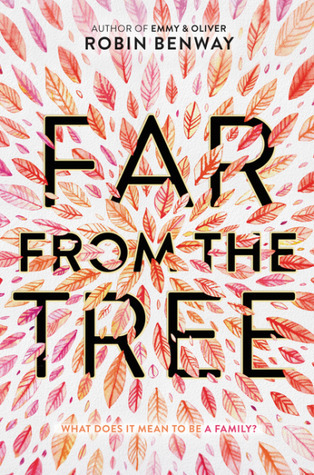 Her only way out is to join another tribe, a one-way trek through the coastal rainforest. Killing a colonial soldier in the woods isn’t part of the plan. Neither is spending the winter with Tiernan, an immigrant who keeps a sword with his carpentry tools. His log cabin leaks and his stories about other worlds raise more questions than they answer. Then the air spirit Suriel, long thought dormant, resurrects a war. For Kateiko, protecting other tribes in her confederacy is atonement. For Tiernan, war is a return to the military life he’s desperate to forget. Leaving Tiernan means losing the one man Kateiko trusts. Staying with him means abandoning colonists to a death sentence. In a region tainted by prejudice and on the brink of civil war, she has to decide what’s worth dying — or killing — for. 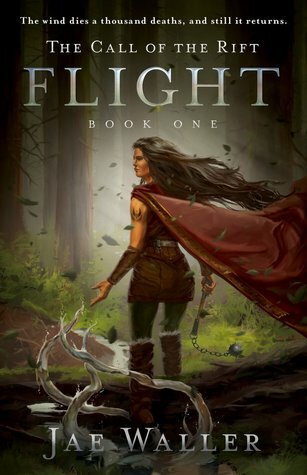 We have a special treat for you guys on the blog today -- an exclusive excerpt of The Call of the Rift: Flight by Jae Waller! ECW Press was kind enough to share it with us, and that's why we wanted to share it with you all, too! So without further ado, let's get into it! As sunrise crept closer, the rest of the Rin assembled on the shore, leaving gaps for those we’d lost. The dead took up more space than the living. We were a small jouyen now, just over a hundred people left. The elders said we once had thirteen thousand. Among the gathered Rin, Isu turned, looking for me. I retreated under cover of the trees. Antayul were expected to watch and sing along. Not talk, not move, not be disturbed that six years ago I found my cousin, Isu’s elder son, washed ashore here — months after we buried him. Storms had uprooted his grave and dumped his body in the lake. We could only tell it was him from his tattoos. The elders said it was a blessing he returned to our sacred place of origin. Every autumn ceremony since then, I’d stood at Isu’s side twisting snare wire around my hands until they bled, watching the lake, wondering which of my eight dead cousins would turn up next. This year I’d had enough. A drum boomed as the sun burst over the mountains. Behadul and Fendul lowered their torches to the tinder. Flames licked up the pyramid. They retreated to the base of the peninsula, their torches forming a triangle with the bonfire. Drummers filed into a half-circle around the fire, swaying and stamping their feet as they pounded drum skins with leather mallets. Dancers whirled and moved their arms like birds soaring across the sky and diving to earth. Their shawls — black outside and white inside, like kinaru wings — billowed out behind them. Clusters of crow feathers in their hands sliced the air. The dancers seemed to float above the earth, a second away from taking flight into an invisible world just out of reach. Drumbeats echoed off the slopes. Behadul’s voice resonated in a chant. The others joined until the entire jouyen called out to the lake valley. Legend said that the drums were loud enough to be heard in Aeldu-yan, the spirit world of our ancestral dead, and the echoes were the spirits’ reply. The ceremony announced our return home from our summer travels. Or, in my cousin’s case, from his grave. The music compelled me to move. No one would notice me back here. The spiritual stuff was bearshit, as far as I could tell. Dancing just kept me from thinking. Looking. Remembering. my fingers as I called water to me, and tendrils flowed out from my finger­tips and snapped through the air. Then, everything changed. The tingle crept up through my chest and into the back of my skull. I opened my eyes. Maybe it was the dawn light, fog in the valley, or smoke from the bonfire, but suddenly the world opened up, and I could see through to the other side — to Aeldu-yan. My heart thudded. I didn’t want to see my cousin’s mottled, bloated face again. Dizziness rolled over me. My water whips dissipated as I stumbled and fell to my knees. I blinked until my eyes focused on an immense rioden tree on the near shore. Its branches sprawled green and lush. I leaned sideways until my hair brushed the ground and I nearly tipped over — and the smudges of green vanished from the rioden, and it was once again black and bare, as it had been for the six years since lightning had struck it. Rin elders said that the spirit world, Aeldu-yan, was a quiet forest that never changed. I always wondered how they knew. Curiosity battled with fear. I stretched out my arm, but the void drifted beyond reach. We'd like to thank the lovely team over at ECW Press and author Jae Waller for being awesome enough to include us in this press tour! We absolutely loved sharing this excerpt with you all, and now we can't wait to add this book to our TBR! Woohoo! Today is Jessica's 20th birthday (and Amber's was ten days ago, and Emily has to wait until August! ), so what better way to celebrate not being a teenager anymore than with a giveaway? That's right: We have a Book Depository giveaway for you, which you can learn more about by checking out our Twitter page. Plus, it's international -- so as long as BD ships to you, you're welcome to enter! Although Jess is kind of bummed not to be a teenager anymore (after all, she believes that teens are absolute badasses and the complete best! ), she's excited for the road ahead. And shocked that she's been blogging since she was thirteen and here we are!!! Whoa!!!! That's just how we do birthdays around here -- you guys get the gifts. So get on that giveaway and get entering! For this week, I wasn't a big fan of the assigned topic, so I decided to take one of the previous topics from earlier this month that we didn't end up covering on the blog. 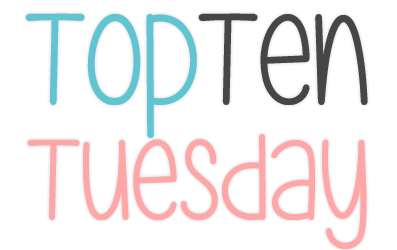 So I'm going to be listing my ten favorite book quotes today -- let's do it! So those are my top ten favorite book quotes -- what are yours? Comment down below and let me know -- I'd love to see them! Hi, everyone! We have something exciting (and a little different!) for you all today. As we're sure you all know (if you've been hanging around social media, that is), Love, Simon was an absolute hit -- in both the book community and the larger moviegoer population. Which is totally heartwarming and amazing. So of course, we here at The Book Bratz had to check it out for ourselves. 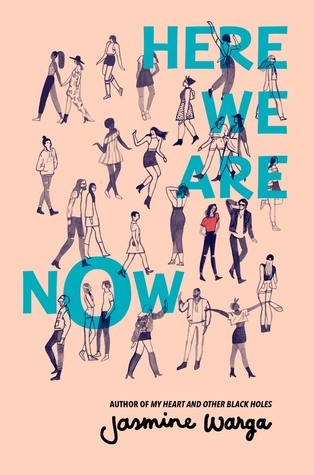 Emily and Jessica both read Simon vs. the Homo Sapiens Agenda before seeing the movie (Jessica many years before, Emily recently), so they each have something to say about the movie in comparison to the book. So without further ado, here we go! The last time I read Simon vs. the Homo Sapiens Agenda was back when the book first came out, so I was a little worried that I wasn't going to be good at this whole book-to-movie analysis thing, since it's been so long and I thought I could honestly only say so much about the book, having remembered so little. But I was thankfully proven wrong, because as soon as the movie started, I felt everything rushing back, and I was thrown back into Simon Spier’s world and all of the friendships, relationships, and secrets that went along with it. This movie gave me all sorts of emotions that I hadn’t been expecting. 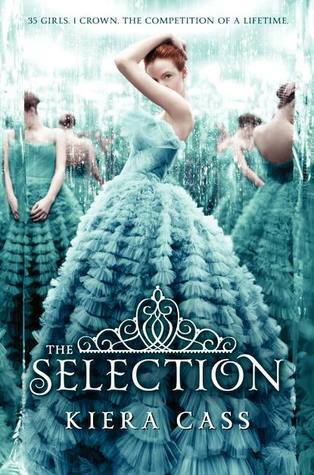 I laughed and cried, fell for some characters, and even grew to dislike some others. Simon, of course, had a huge soft spot in my heart. And the way he navigated his secret, and the emotions that came forward when things started to spiral out of control – it all felt so real and so vivid and I felt myself sucked into the story along with it. One of my favorite parts of the entire experience was at the end of the movie, when the entire theater was clapping and laughing and cheering and whooping and crying. We were all part of one big, loving community in that moment, and I loved every second of that. As for how this movie followed the book, I was pleased with the way everything panned out. There were a few details here and there that were a bit different, but the big things all stayed relatively the same. I didn’t feel cheated or that the movie wasn’t an accurate representation of the book. I think it did a wonderful job. Maybe the fact that I went into the movie knowing who Blue was made me a lot more alert to some of the signs that clued into who it would be – but regardless, I think it was all pulled off really well. Also, a little bit off topic here, but Emily and I definitely squealed when we saw Adam Silvera’s cameo, and also his books on Simon’s shelf. It was just a little easter egg that the YA community would understand and I loved having that little nod to our band of internet friends. It felt very personal and very real, like this movie was created for the YA community and would go on to reach out to everyone else, not the other way around. I really appreciated and enjoyed that. Overall, I absolutely loved Love, Simon. The movie made me laugh, made me cry, made me gasp, and gave me all of those little experiences in between. If you’re on the fence about seeing this movie, I encourage you to take the plunge. And you should also read the book, too! Especially when Leah on the Offbeat comes out next month – in which you find out that Leah has been hiding some secrets of her own. Hats off to Love, Simon – this movie blew me away, and then some. I will officially be pushing it on everybody I know, because everyone can find something to adore about this sweet, compelling story. A definitely 5/5 stars from me! Oh my god guys. I'm feeling so much right now. 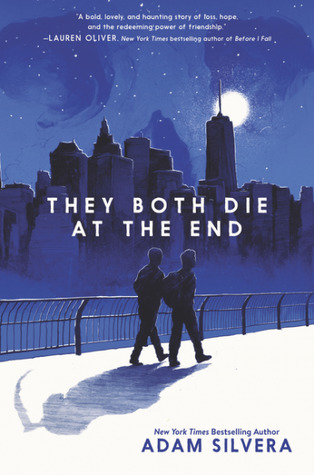 I actually finished Simon vs. the Homo Sapiens Agenda the night before we saw the movie and the movie didn't follow the book exactly, but it was still amazing. All the little differences really worked with the movie and made it just as good as I imagined it to be, so I'm okay with it. I loved all the characters and the way they played their roles. Everything about this movie was adorable and I think everyone needs to see. It's such a sweet story of first love and conquering your fears. Bring your best friend, your grandma, your dog, anyone! So, those were our individual thoughts about Love, Simon as a whole and also with how it relates to the book! Did you see Love, Simon yet? What did you think about it? Leave your comments down below -- we'd love to hear them! 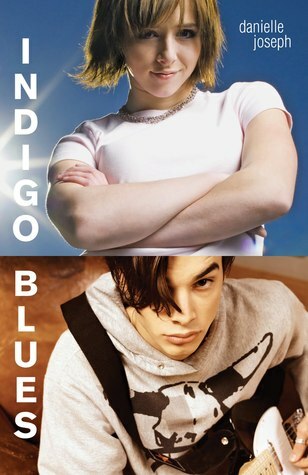 Summary: Indigo: I never asked to be famous--or infamous. Such is my fate for briefly dating (and dumping) Adam Spade. Yes, the Adam from the indie rock band Blank Stare who wrote "Indigo Blues"--the song that gave the band overnight success, propelled them to New York City, and stole my precious anonymity. Now I'm pawed by fans, stalked by reporters, and pegged as a vicious heartbreaker. And Adam is still calling me. Doesn't he have better things to do?Adam: With a hit single and a promising career, I should be on top of the world. People on the street are beginning to recognize me, which is cool. And scary. The band is counting on me to write another hit, but I can't stop thinking about Indigo. Why won't she answer the phone? 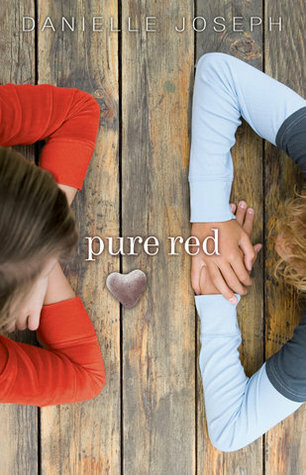 Summary: I, Cassia Bernard, do solemnly swear to find pure red--my passion--this summer. Dad's passion is art. When he's painting, no one can reach him, not even me. My mom's passion was the ocean. She said the ocean allows you to see whatever you want to see. That was one of the last things she ever said to me... Sometimes what your heart desires isn't what it needs. 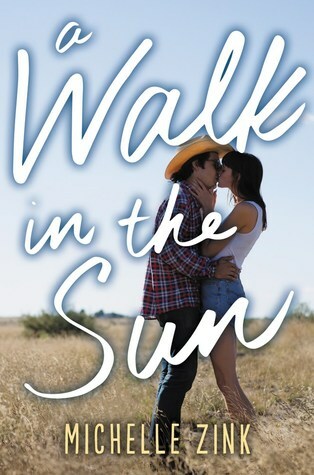 Over the course of a hot Miami summer, sixteen-year-old Cassia discovers that sometimes it takes bullies and basketball, a best friend, and a gorgeous guy to help you understand what you actually need--and to help you see that, maybe, everything isn't so black and white. Today on the blog we have a guest review from Ray over at Nick & Disney Channel Reviewed! They were kind enough to stop by and review both Indigo Blues and Pure Red and share their thoughts on it. So without further ado, let's get into it! So, one's pretty disappointing and the other is...pretty decent. Spoiler alert: Indigo Blues is the disappointing one. 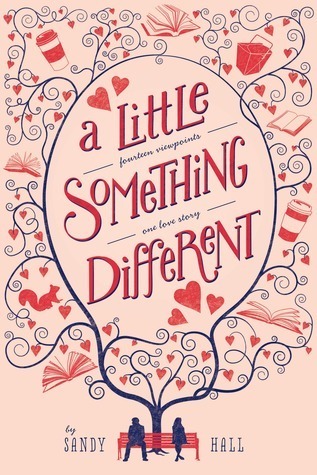 The middle novel in publication sequence (Shrinking Violet being first - Joseph's first novel, in fact - and Pure Red being the latest) it's...meh-tastic with a little bit of enough gender stereotypes and pidgeon-holing to make me feel a little uncomfortable. It's about a girl in high school who dated an older guy who's old enough to be looking into college graduation and then they broke up, and the older guy wrote a song about her, and they have a bunch of angst about the other thanks to memories drudged up by what turns out to be this hit song. Really, the plot is almost a straight-up ripoff of another book, Audrey Wait!, which was written around the time of Shrinking Violet and (yes I've read that book too) I think vastly superior to Indigo Blues here. So, I would just recommend you read that book instead, really. And that's even after main character Indigo's best friend turns out to be a redhead. Pure Red ends up being much better because if nothing else I feel it's more developed. It's about a girl who's on her high school basketball team and not only does she have to put up with a bully but also her dead mom and her aloof, painter dad and yadda yadda, trust me it's pretty decent. It's a bit of a slow read - and by that I don't mean it's boring but it is the type of book you'd probably want to read in a more casual, relaxed setting (outdoors on a nice breezy day isn't a bad suggestion, for example). 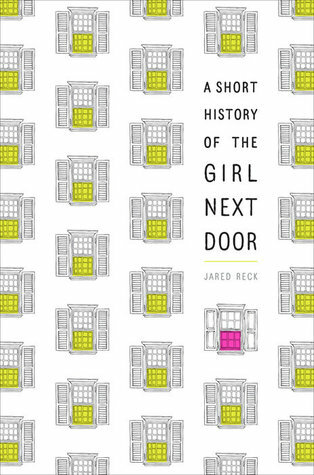 It's a rather, um, "character-contemplative", character-driven and introspective book (like Shrinking Violet, in all fairness) so if you're really into that (like me, apparently) then you're good to go. But you shouldn't really be expecting a lot of plot-heavy developments, in other words. It's very much following the main character, Cassia, and her thoughts but not necessarily in an action-oriented way (and I don't mean in the explosion-laden, Die Hard way but in action period). Oh and speaking of which you probably caught onto the color symbolism from the titles of the books alone here but Pure Red really gets into color symbolism as part of its narrative. In both Shrinking Violet and Indigo Blues it's really more about musical symbolism, again given Danielle Joseph's background in DJ'ing and radio. Neither book is as good as Shrinking Violet and Shrinking Violet still has a more tightly-constructed narrative than Pure Red, but Pure Red's still an interesting read if you're interested in reading more from the author that ultimately brought you Radio Rebel. So...in conclusion I'm not really going to talk about the one book because I think there's basically the same book out there that you should read instead, and I'm not really going to talk much about the other book in case you feel like reading it yourself, but there you go, that should give you enough of a review to go on. Whew, that turned out to be a shorter review than I thought. Yeah, I'm still taking my morning coffee. Like I said in the last Andi Mack review, nobody's human without coffee in the morning. Novel Grades: C- for Indigo Blues, a flat B or maybe even a B+ for Pure Red. I rated them both three stars and four stars respectively on Goodreads if that means anything. Favorite Novel Character: I guess Indigo by default in Indigo Blues (really I didn't feel very much attached to any of the characters as indicated by all those words I used above and its C- score) and, eh, probably Cassia in Pure Red too. Like I said in Shrinking Violet, Joseph really likes to focus on her mains, which is noticeable even with books written in the first person perspective. We'd like to once again thank Ray for stopping by The Book Bratz today to post this guest review. You can read the original review over on their blog by clicking HERE! Summary: Ten years after the tragic disappearance of her twin sister Leah, sixteen-year-old Mia Klein still struggles to exist within a family that has never fully recovered. Deep in the dark recesses of her mind lies an overwhelming shadow, taunting Mia with mind-splitting headaches that she tries to hide in an effort to appear okay. Leah Klein's life as she knew it ended the day she was taken, thrust into a world of abuse and fear by a disturbed captor―"Mother," as she insists on being called. Ten years later, any recollections of her former life are nothing more than fleeting memories, except for those about her twin sister, Mia. As Leah tries to gain the courage to escape, Mia's headaches grow worse. Soon, both sisters will discover that their fates are linked in ways they never realized. You guys. You guys. I just finished this book a little while ago, and I'm still reeling. Losing Leah was an epic, mind-bending thriller that had me hooked from start to finish and threw it so many plot twists that I wasn't expecting, which kept me indulging in this roller coaster until this very end. I'm still shaking a little bit, this book truly affected me that much. 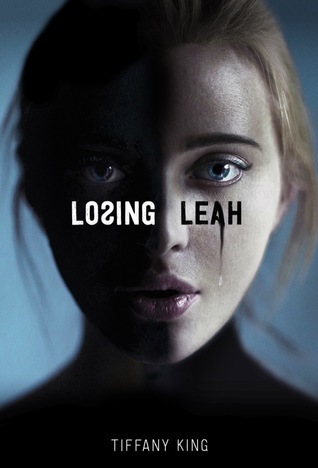 As the summary explains, Losing Leah is the story of Leah Klein, a teenage girl who had been abducted from her front lawn when she was only six. While she was trapped in a basement and answering to her abusive "Mother", her twin sister, Mia, was living her life and having a "normal" high school experience and struggling to remember her twin sister, praying that she was, at the very least, alive. So this book takes you through their respective lives. I really enjoyed the thrills of this book. I was constantly flipping the pages, eager to see what was going to happen next and how Leah was going to handle her life being held captive by her abductor, the woman who demands that Leah calls her "Mother." But then Leah starts building her plans to escape the basement she's been shackled in for the past ten years, and Mia suffers headaches that get worse and worse until she is literally bedridden...and then you find out that the sisters have more in common than you'd ever imagine. This book was just seriously incredible and packed so many great punches that I wasn't expecting. (MAJOR spoilers in this paragraph, so please skip to the next paragraph if you don't want the book ruined for you!) When Leah was finally rescued and you find out about her being Mia all along...I was completely floored. I actually had to put the book down and take a walk because I was so shocked. I'm usually surprised by plot twists (I'm not super good at figuring them out in advance), but this one completely caught me off guard without seeming too out of left field or out of place within the story. And then the hits kept on coming when you found out about Leah/Mia's high school friends that aren't real, either! Even after the first reveal, I guess I figured that stuff like that wouldn't happen again. But it did!!! TWICE!!! The Gunner one...wow. That reveal happened three times throughout the book, and I was completely caught off guard every single time. I still can't believe it. It was seriously that good. (More major spoilers here -- please continue onto the next paragraph!) The only thing I wasn't super keen on with this book was the fact that the plot twist of Leah/Mia imagining people, while it was still surprising, eventually made me start questioning everything in the book. By the time I found out that Gunner wasn't real, I began to question every other character that came into play. Was she imagining her dad? Her brother? Amber? The girls that taunted her at school that her brother never seemed to take notice of? It all seemed a bit nerve-wracking to me, since that plot point had been used three times already, and I wasn't sure I could trust who was real and who wasn't after that. So that left me a little suspicious, but that was the only thing I can say I really wasn't crazy about in this book. Everything else was absolutely excellent. Anybody that knows me knows that I am the biggest chicken in the entire universe -- I'm not a fan of being scared, whether in real life (like on rollercoasters!) or by watching/reading scary material. So I was a bit worried going into this book that it was going to be really gory or really terrifying. 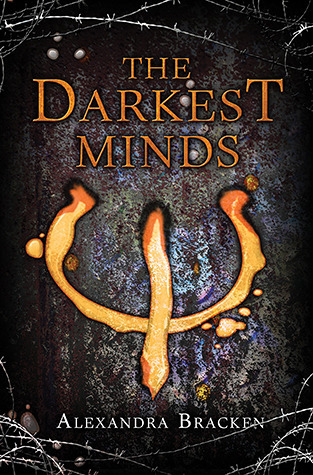 But this book was the opposite -- it was the perfect blend of mystery and thrills to keep me hooked and give me chills without being classified as downright terrifying. So that was definitely a plus for me! Overall, I really enjoyed Losing Leah. 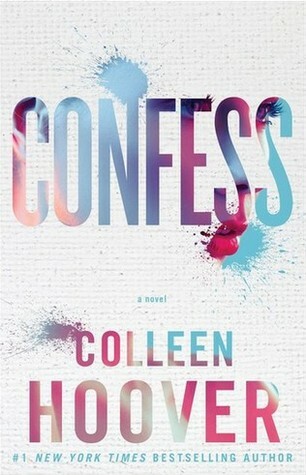 The book took me on a ride that I wasn't expecting, and those plot twists kept my heart pounding. Tiffany King expertly created a thrilling, terrifying story of love, loss, and putting a life back together after so many years of damage -- and she did it in a way that felt real, gripping, and urgent. I'm so glad that I received the opportunity to review this book, because I tore through the nearly 400 pages in less than two days because I kept wanting to read the following chapter to see what would happen next! And if this book isn't on your TBR, trust me when I say you're missing out -- get it on there ASAP! 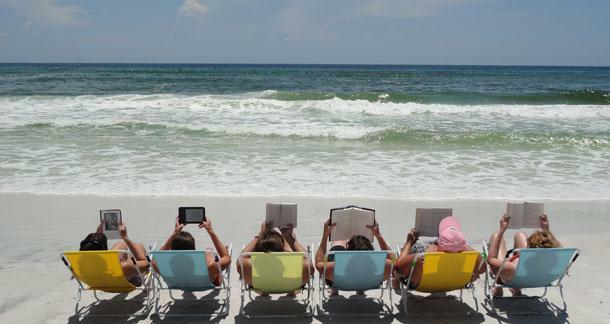 The Best Books To Take On A Spring Break Vacation! Spring break is a wonderful time: no classes, no responsibilities, and (usually) no homework. Which sometimes means you get to go on an awesome vacation, or even sit home enjoying the nice weather from the comfort of your own house. Whatever you're doing this spring break season, here are some of our favorite books that we recommend adding to your bookshelf or throwing in your suitcase!